Swift PAT Testing are at gigs! Carrying out Portable Appliance Testing for bands across the country. 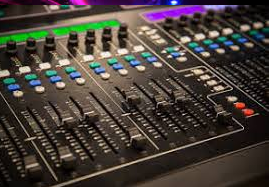 DJs, Musicians & Singers will usually have a wide variety of equipment that requires PAT testing, including CD players, radio receivers, mixers, speakers, computers, lighting, TVs, extension cables and so on. It is important to be aware that some venues insist that DJs entering their premises have PAT certification for all of their equipment. Some will refuse access should certification not be shown upon arrival. This can obviously be very embarrassing and can easily ruin a planned event if this requirement is not checked beforehand. Always check that your DJ has their equipment PAT tested annually and carries up-to-date certification with them. 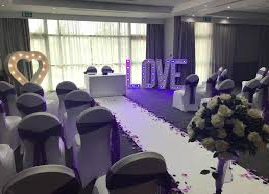 This will ensure their access to your venue is not refused and that their equipment is certified as safe to use. 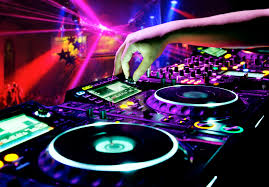 PAT testing is generally also required to ensure that the conditions of a DJ’s insurance provider are met. (Electricity at Work Act 1989 ) for businesses taking electrical equipment into third party premises. Certification is required from a registered electrical PAT testing company to confirm that all items of electrical equipment, including cables, that require a mains electricity supply have been tested for safety and labelled accordingly. PAT Testing is generally carried out annually. We’re confident that our straightforward pricing structure will set your mind at ease. And we aim beat any quote ! The electricity at work regulations require it in regulation 4(2). When Swift PAT carry out a PAT test on a appliance it is in 3 steps. This informs the use or any potential danger signs, and an appliance can fail on this check i.e. a frayed cable can be marked as not safe to use. This is a simple process of visually inspection all of the appliance, cable and plug for obvious faults, including the fuse and wiring of the plug should be tested. This is the main test, that involves the PAT testing equipment. This determines if the device is electrically safe to use on the class of construction i.e Class 1, Class 2 and so forth.